How to DragDrop Merged Cells in GridGroupingControl? 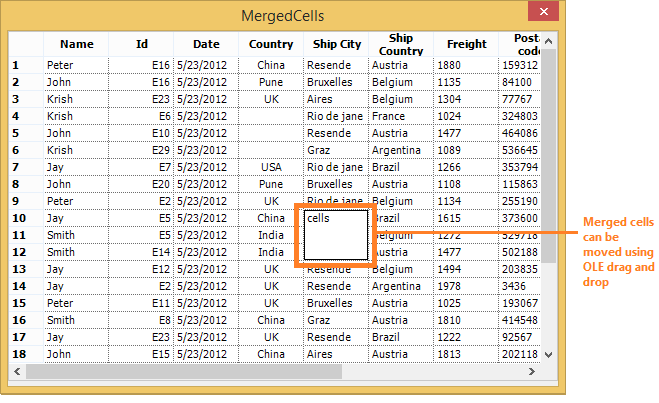 In order to achieve drag and drop of merged cells, QueryCanOleDragRange event can be used and merged cell will be considered as individual cells by adding the drag and drop range to selection. 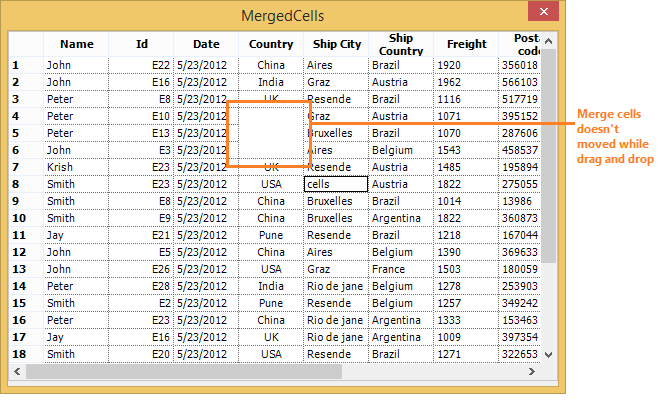 So that merge cells also can be dragged to another place as merge cells.